If you’re like me, you think of LinkedIn as the last place you want to spend time online. It’s chock full of spam, vaguely business-themed blog posts that range from the utterly interminable and insights no one asked for to bizarre rants, and UI decisions that seem designed to conjure up the feeling of a basement cubicle. That’s not even counting the controversy over some of its uses of user data. At best it’s the Dilbert of social media, and at worst it’s the... Scott Adams of social media. 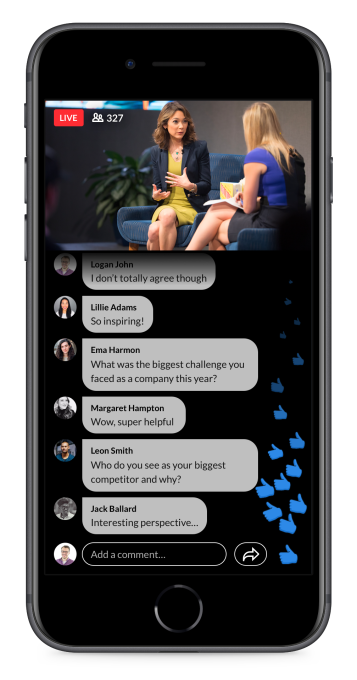 LinkedIn has already had video for about 17 months, according to TechCrunch, but its director of product management Pete Davies told the site that a Live option has been the “most requested feature.” Video ads are also lucrative, and recent filings from its owner, Microsoft, indicated that its ad business has been growing fast on LinkedIn’s platform. TechCrunch noted that LinkedIn could also get into monetisation opportunities like premium video feeds (conferences, etc.) or charging companies to broadcast things like earnings reports, though LinkedIn did not mention whether it was considering those possibilities.